J.C. Lewis Primary Health Care Center, a nonprofit organization providing affordable health care services to individuals in the Savannah community, is pleased to announce two new members of the Board of Directors. As leaders in the community and new members of J.C. Lewis’ board, they will help oversee the strategic direction and overall health of the nonprofit organization. Margaret Williams is an involved citizen of Savannah and currently serves as the customer service administrator for the City of Savannah where she implements customer service guidelines and training for the City of Savannah’s employees. She has been a United Way volunteer since 1995, as well as a consultant for Savannah State University’s Southern Regional Press Institute, where she received her bachelor’s degree in Mass Communications and has been teaching undergraduate courses since 2006. 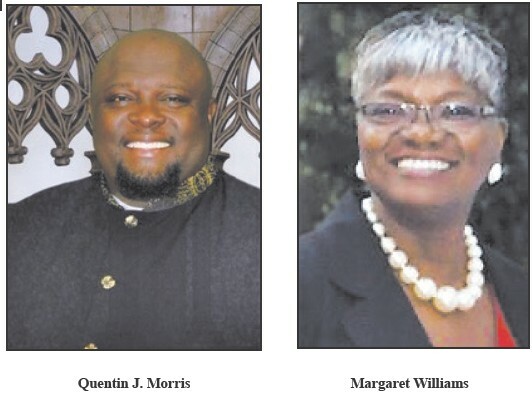 Quentin J. Morris has served as the pastor at Tremont Temple Missionary Baptist Church in Savannah since 2012. He also serves as a chaplain for the Savannah Chatham Metro Police Department and is a member of two school councils for the Savannah-Chatham County School District. Pastor Morris holds the position of vice president for district one of the General Missionary Baptist Convention of Georgia, an organization whose goal is to bring African American Baptists together for Christian education and fellowship. He also serves as president of the organization’s Congress of Christian Education, an annual event designed to spread the Christian message throughout the community. Pastor Morris received his bachelor’s degree in Ministry from Brewton-Parker College and holds a Masters of Divinity from Amridge University.